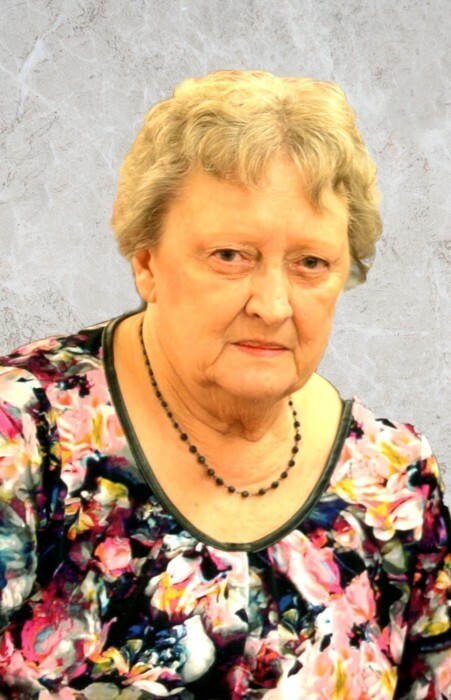 Ellen Louise Hammersley Gatrell, 84, of North Vernon passed away on Saturday, February 2, 2019, at her residence. Born January 26, 1935, in Deputy, Ms. Gatrell was the daughter of Everett and Minnie (Stutsman) Hammersley. Ms. Gatrell was a 1953 graduate of Deputy High School and worked for 20 years at Jennings Villa, retiring in 2010 and had previously worked 20 years as an attendant for the former Muscatatuck State Developmental Center. She was a member of Vernon Baptist Church and enjoyed reading and traveling. Survivors include her sons, Mark (Kim Graham) McCreery and Johnny (Brooke) Gatrell, both of North Vernon; daughters, Tara McCreery, Laura (Roger) James, and Johna (Tommy) Palmer, all of North Vernon; brother, Ray (Betty) Hammersley of Deputy; grandchildren, Dustin (Alexis) McCreery of Cable, Wisconsin, Trista McCreery of Seymour, Michael (Elizabeth) Cone of Columbus, Reagan Gatrell, Hunter Gatrell, Sara Cone, Shana Brooks, Nakia Stephens, Eddie Ball, Sherida (Brandon) Weinbrecht, Chasity (Jordan) Spurlock, Chase (Kaylin Closterman) McNicholas, Makayla Palmer, Jerod Palmer, Jeremiah Graham, and Tyler Campbell, all of North Vernon, Racheal (Hezekiah) Barnes of Louisville, Samuel Cone of Ann Arbor, Michigan, Michael (Lisa) James of Camby, Todd (Kim) James of Greensburg, and Daniel Campbell of Bedford; twenty four great-grandchildren and one great-great-grandchild. A funeral service for Ms. Gatrell will be conducted at 2:00 p.m. on Saturday, February 9, 2019, at the Dove-Sharp & Rudicel Funeral Home and Cremation Service in North Vernon with the Rev. Earl Stutsman officiating. Family and Friends may call at the funeral home on Saturday, February 9, 2019, from 10:00 a.m. until time of service. Burial will be in the Vernon Cemetery. Memorials may be made through the funeral home to Jennings County Animal Control.